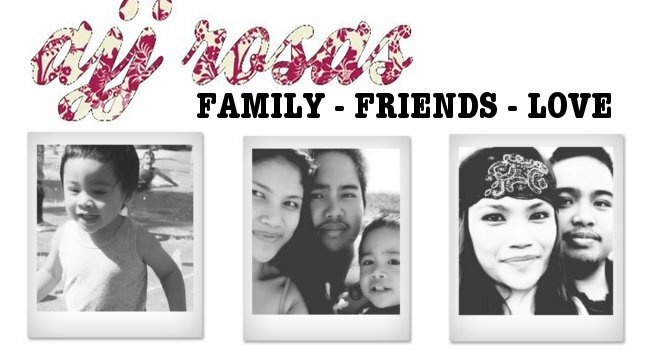 ajj rosas: a quick farewell. Last Friday night, my mum, Jaiden & I went to visit my mums cousin & my God-daughter Celina before they leave for the Philippines for 3 months. It was just a brief stop by since it was late at night & their baby and husband was already sleeping when we arrived. It was hard to keep Celina quiet because she was just hyper and wanted to play the whole time. Jaiden had been very shy & just stayed by my side the whole time. Celina just kept coming up to him and saying 'do you want to play?' 'c'mon let's go play!' haha it was so cute! I had to play along with them so Jaiden would join in. She tried so hard to befriend Jaiden lol it was so adorable! Jaiden tried riding Celina's rocking horse but got scared of it when she put the sounds of it on. I got her a little present of two pairs of shoes (since the last pair I got her for Christmas were too small) and she loved them! She wore them the whole night and wouldn't take it off lol. I hope they have a safe trip & safe stay there. I can't wait to see them when they get back! I miss Celina so much already! !